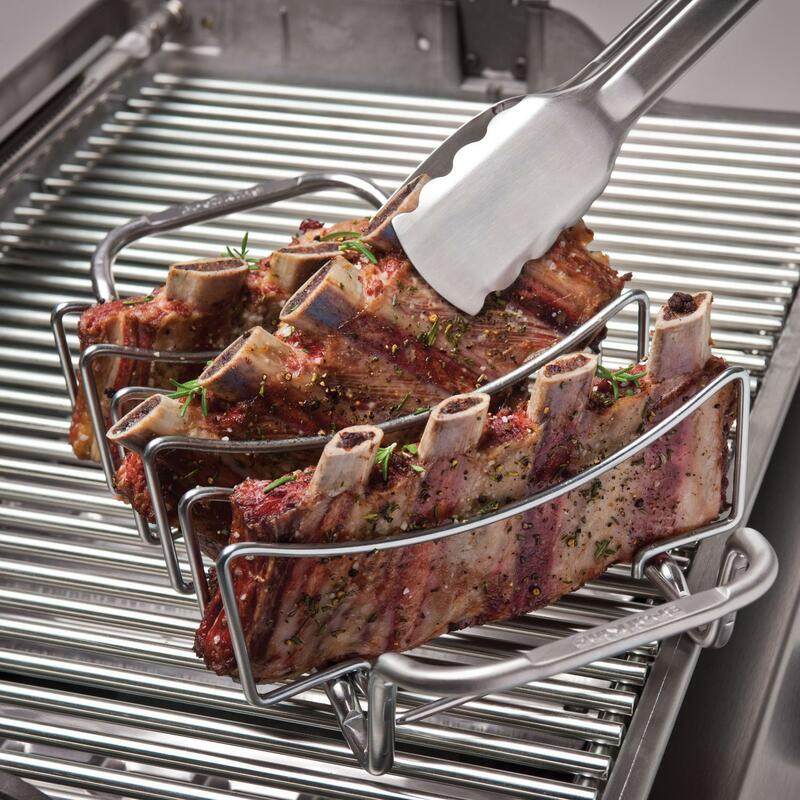 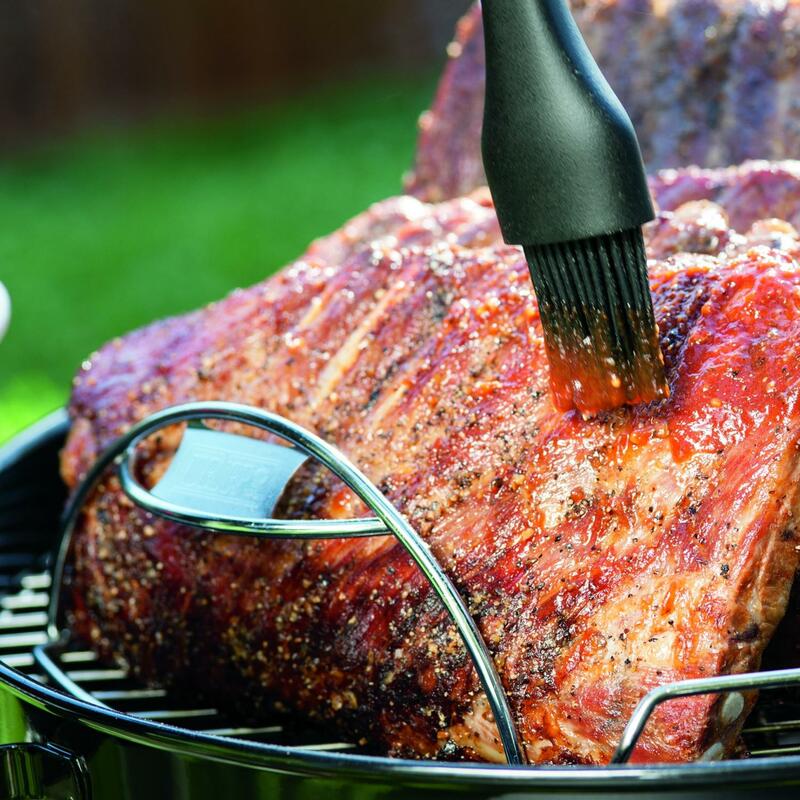 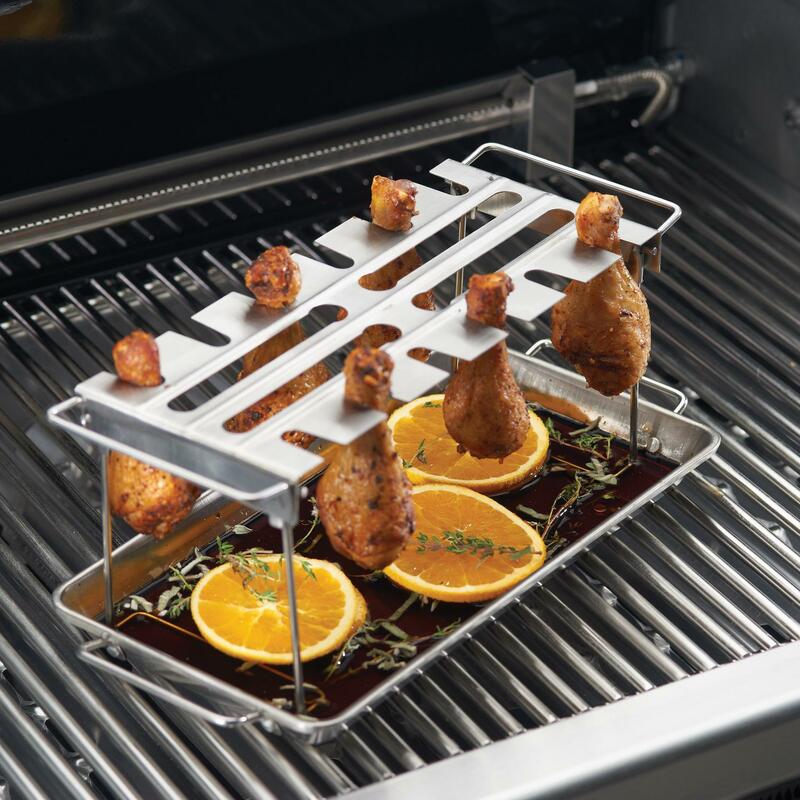 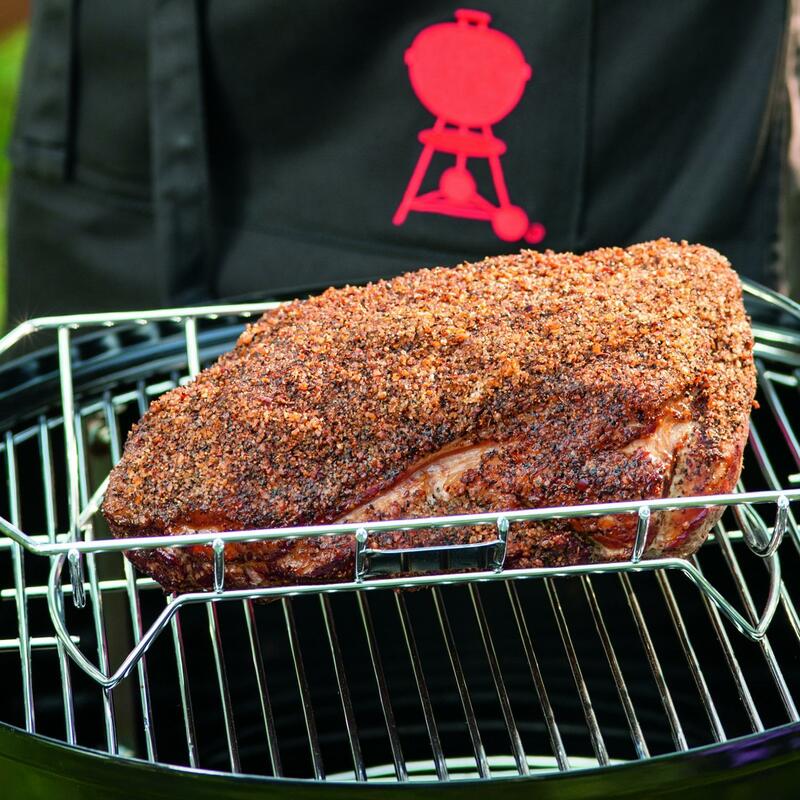 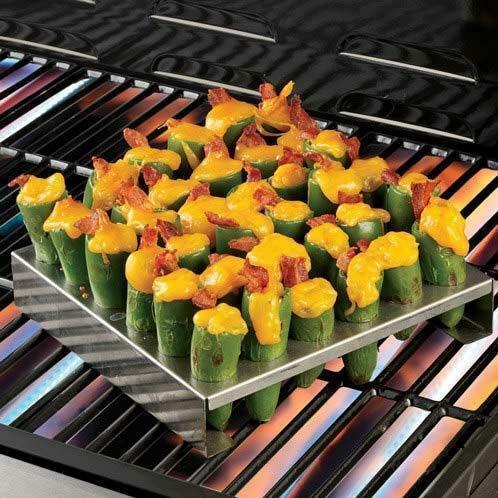 Product Description: Broil King 8 X 15-Inch Stainless Steel Wing Grill Rack & Pan. 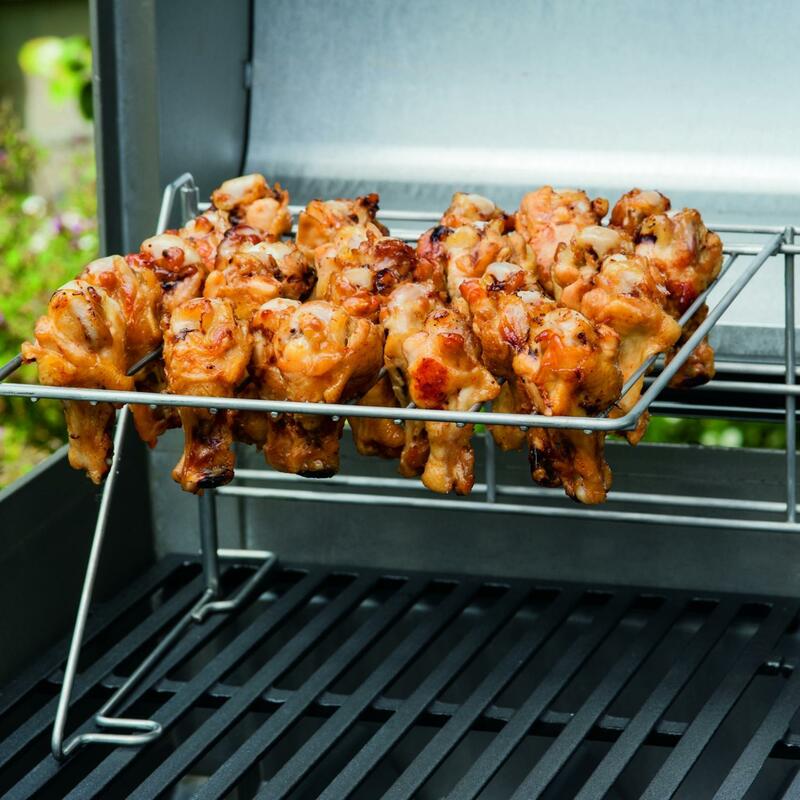 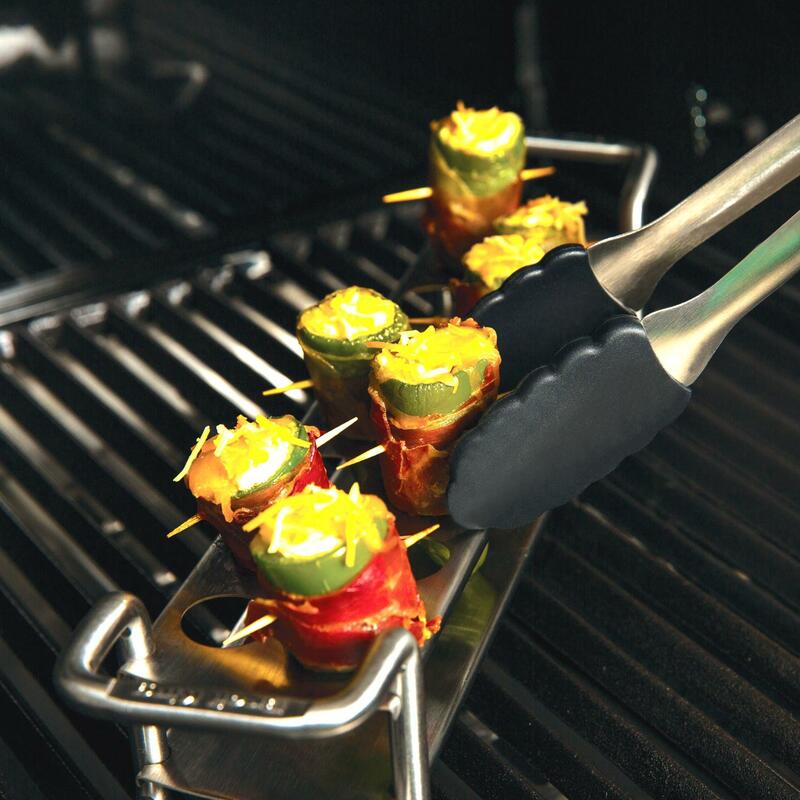 This stainless steel wing rack allows you to hang chicken wings, thighs and drumsticks without placing them directly on the grilling surface. 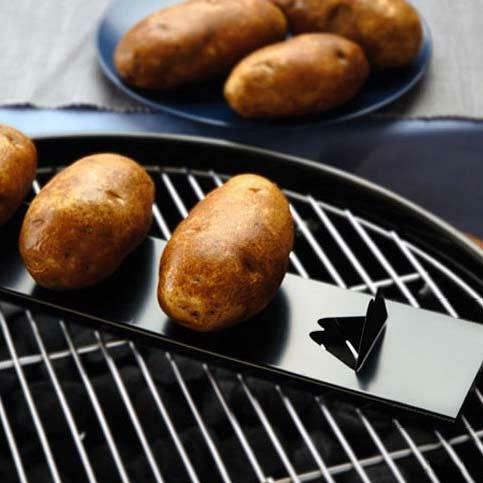 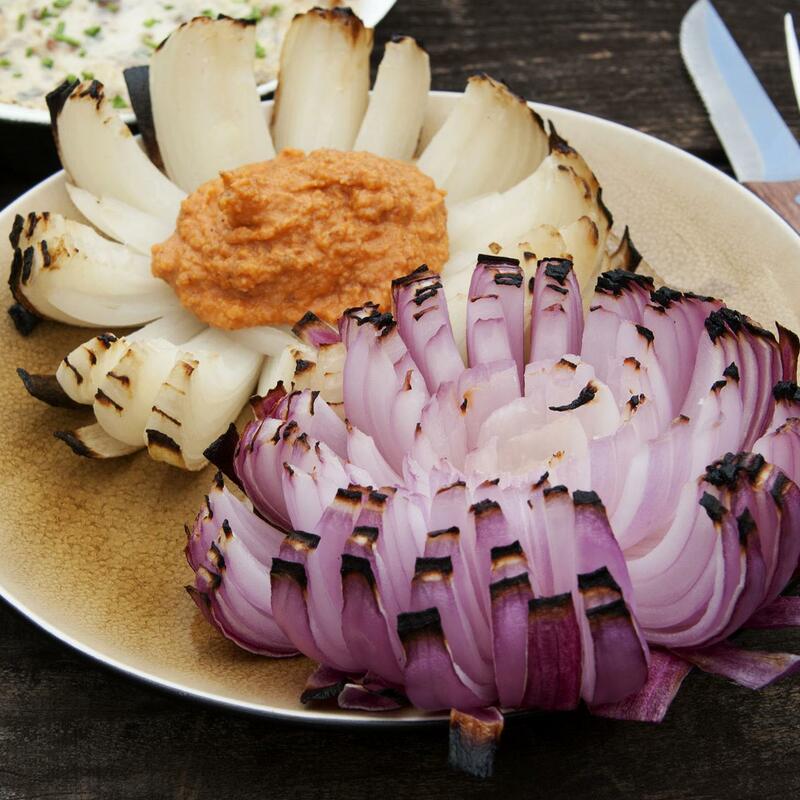 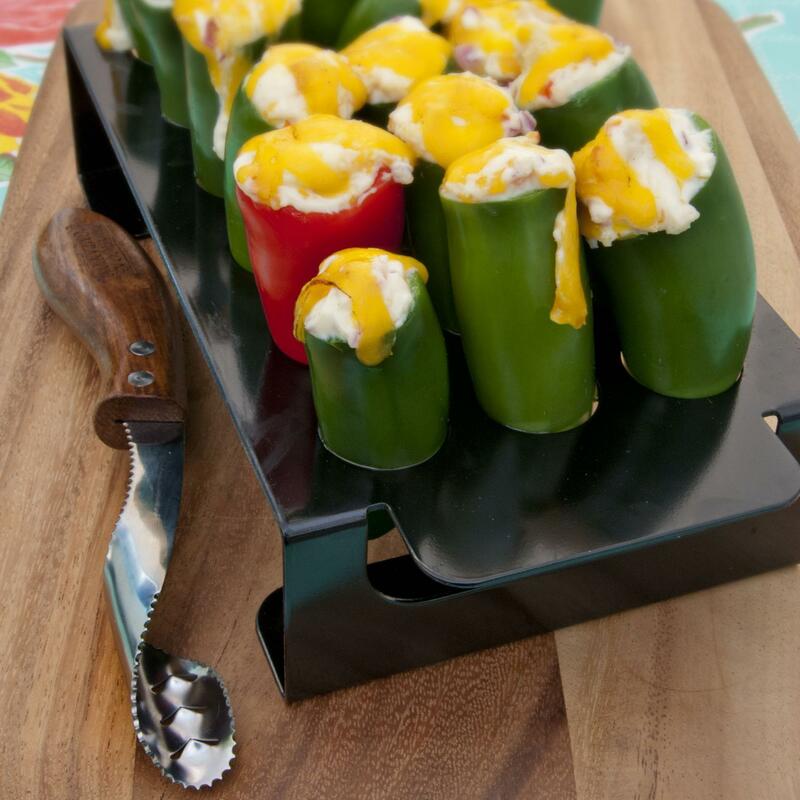 This prevents the food from sticking to the grates, while the pan catches drippings and reduces flare-ups.